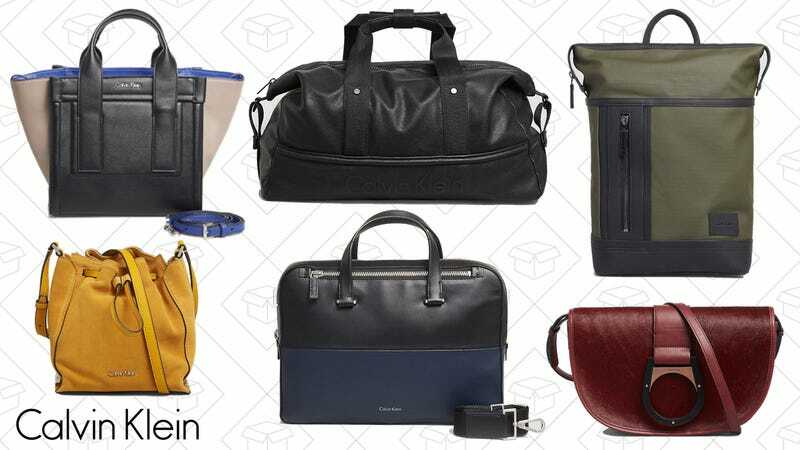 In need of a new weekender or a professional-looking laptop bag? Well, Calvin Klein taking all their bags that are on sale already and adding an extra 50% off. That means you can pick up a really nice leather messenger bag or tote for under $200. Women’s and men’s styles are both marked down.